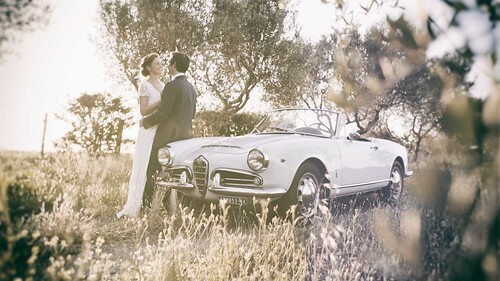 Just in this wedding season we’ve discovered Villa La Foce, we’ve never been there and the place it’s really incredible. So this wedding at Villa la Foce it has been for us a great occasion for new inspirations, both for the amazing location but especially for having met a really nice couple: S. and S. come from Brazil and Holland and they were really attracted from beauty of Tuscany when they chose where to celebrate their wedding. The whole event took place in Villa La Foce, treasuring all the beauties and corners of the villa. After the getting ready of bride and groom, in two elegant suites inside, we had the ceremony in the stunning italian garden in front of the building: it’s one of the most beautiful garden we’ve ever seen with his colors, scents, lines and perfect geometry…really a gem! Then after the aperitif and the dinner, for cutting the cake and dancing, we moved to another characteristic spot: the ancient limonaia. Beside a special thanks to Stefano Santucci photography for the wonderful collaboration and for the really nice time spent together.